For seamlessly natural lashes, check out LashSpot in Costa Mesa's chic eyelash extensions that can look like over the top glamour to understated classic, and every level of beauty in between. The trained technicians use a technique hailed by Elle UK, Time Out NY, and Daily Candy. They offer various lash styles to create custom looks for each customer’s specific needs. LashSpot lashes are made from premium silk and mink to form full and lengthy eyelashes. For Valentine's Day, LashSpot is offering a Valentine’s Special, perfect for personal use or as a gift to friends, family members, and loved ones. The Valentine’s package includes a full set of eyelash extensions, a $25 gift card, and Delilah Lip Gloss for just $125. With a value of over $200, The LashSpot Spa’s $125 Valentine’s Special is a luxury well worth indulging in. The LashSpot Spa also offers lash extension and removal, lash perms, lash tinting, lash décor, brow shaping, brow, facial and bikini waxing, and specialty make up. Open 9 a.m. to 8 p.m. Tuesday through Thursday; 9 a.m. to 5 p.m. Friday and Saturday. Let the pros take care of your Super Bowl entertaining. Provisions Market in Old Towne Orange will prepare a super game day platter for just $10/per person (6-person minimum). 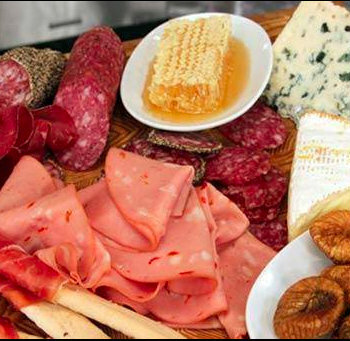 Provisions will load up a platter with sliced meats, artisan cheeses, dried fruit, jams, nuts and other accompaniments. There’s also a vegetarian option, which includes sliced fresh veggies and accompanying dips, also $10/per person (6-person minimum). All you need is pick up some bread or crackers (which Provisions also had) and you’ll have super party on a platter! Provisions also has a selection of super-sized sides available for takeout including: hummus - $8/16oz., Devil Wears Pink (pickled deviled eggs) - $6/6pc, house made spiced & salty nuts - $8/16oz., tomato and cucumber salad - $8/16oz; pasta salad - $8/16oz. ; potato salad - $8/16oz. And there’s always a super selection of craft beers and fine wines to add to your festivities. All orders must be placed by noon on Saturday and will be available for pickup after 10 a.m. on Sunday. To place an order, just call Provisions 714.997.BEER (2337). Open 10 a.m. to 10 p.m. Monday through Wednesday; 10 a.m. to midnight Thursday to Saturday; 10 a.m. to 10 p.m. Sunday. 143 N. Glassell in Orange.